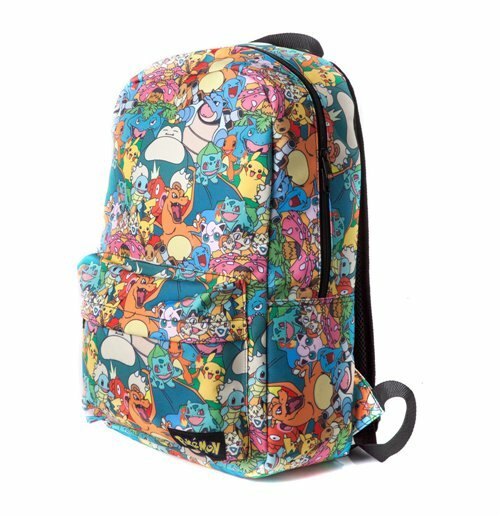 This colourful looking backpack has been made from 100% hardwearing polyester material, with excellent durability, long life and professional stitching; all inspired by the popular Pokemon series with an officially licensed design. Simply unzip the main, spacious internal compartment and you can store all manner of items that you will need for the day - whether that's for school or for fun!. 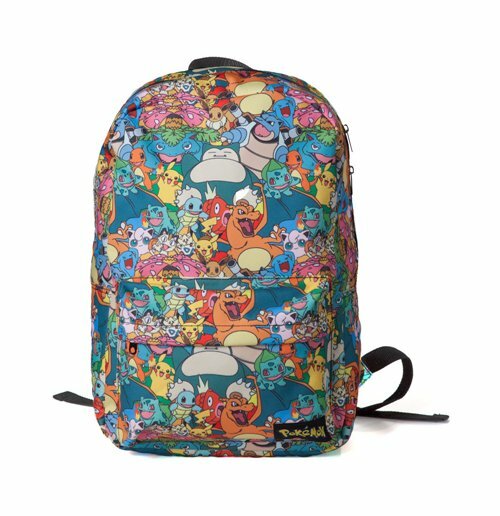 On the exterior is an all-over characters print, and a useful zipped front pocket. 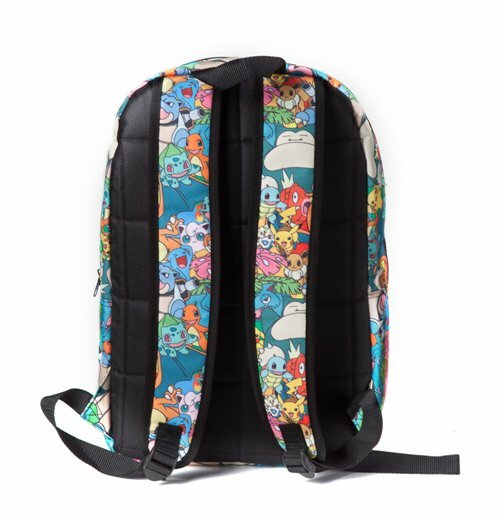 Adjustable shoulder straps can be found on the rear of the backpack, which allow you to modify the fitting to your own custom needs, and you can also hang the bag up when not in use; thanks to the included coat hook.